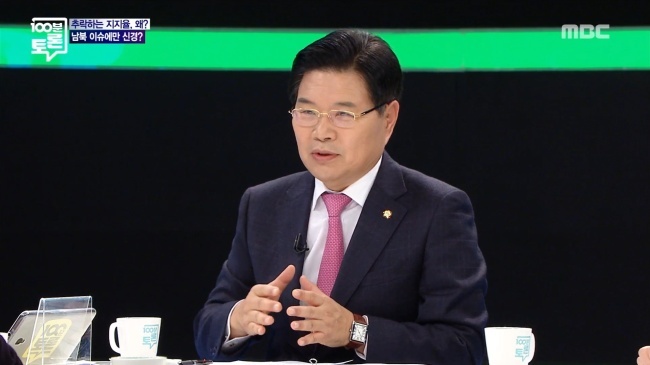 Lawmaker Hong Moon-jong from the main opposition Liberty Korea Party appeared on TV Tuesday night and expressed reservations about President Moon Jae-in’s tendency to prioritize North Korea over other issues. 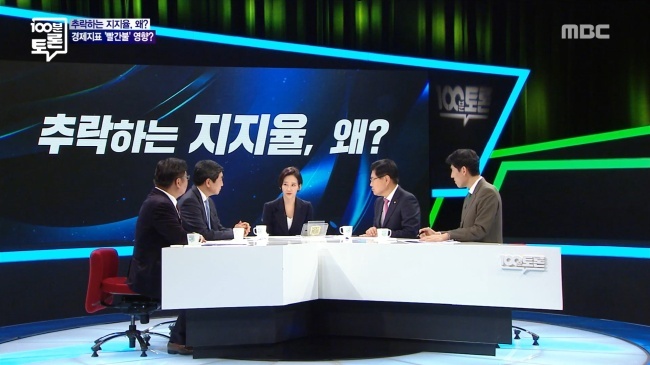 While appearing on the latest episode of MBC’s “100 Minute Debate,” Hong commented on Moon’s approach to North Korea after the presenter asked the panel whether Moon was obsessing over North Korea despite problems within the South. The nighttime topical show had a panel of experts and politicians discuss the reasons behind Moon’s plummeting approval ratings. “If President Moon Jae-in can bring peace and solve North Korea’s nuclear issue, I don’t think there is even any point in holding the next election. But the problem is many countries, including Japan and the US, think President Moon Jae-in is being played by Kim Jong-un,” Hong said. Moon’s approval ratings hit a record low last week, falling below the 50 percent mark for the first time since he took office in May 2017, according to a poll by Realmeter. Hong also warned that an excessive focus on North Korea could harm the ruling Democratic Party’s interests. “(Moon) seems to think he is the best person to deal with North Korean issues, including their nuclear problem, but it has the potential to be a black hole that can overshadow all the other issues,” Hong continued. In a vox pop street interview that was part of the debate show, several members of the public expressed frustration at the incumbent president’s North Korea policies. One interviewee said he would like to see a policy that favors South Korean citizens when it comes to issues surrounding North Korea, as well as immigration. Moon faced criticism from the local media after reportedly saying he would not answer questions about domestic affairs during an inflight press conference Sunday. But Moon was not “on his way home” as Hong suggested. His flight was bound for New Zealand for a state visit.